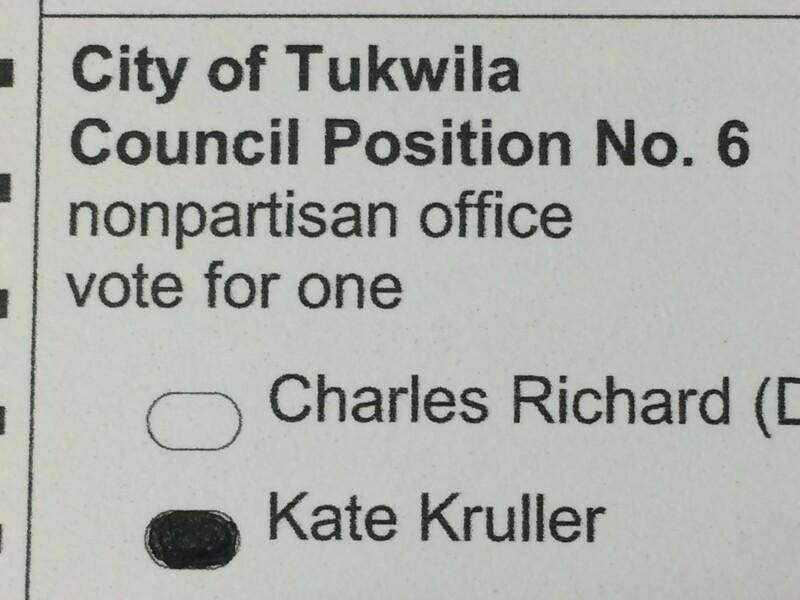 Tukwila City Council President, Kate Kruller has announced her candidacy for re-election to Position 6 on the City Council. This year, she will complete her first four-year term as a councilmember. Kate also currently serves as the President of the Tukwila Pool Metropolitan Park District Board of Commissioners. Kruller has lived and worked in Tukwila for many years and became a homeowner in the community in 1992. She brings with her a 30-plus year professional career, featuring broad experience in project management and information technology, currently working at the Washington State Administrative Office of the Courts. Representing Tukwila, and in collaboration with many other cities, Kruller currently serves as a member of the Sound Cities Association Public Issues Committee (PIC) , Vice Chair of Regional Law, Safety and Justice Committee, and was selected to the National League of Cities Transportation, Infrastructure and Services Steering Committee. Here at home, Kate continues to work shoulder-to-shoulder with neighbors in the community on through groups like the Tukwila International Boulevard Action Committee (TIBAC), Tukwila Pantry Food Bank, Tukwila Historical Society, Tukwila Emergency Communications Team (TEC Team), Community Emergency Response team (CERT), Friends of Duwamish working at the Duwamish Preserve, Rotary Club of Duwamish Southside, and any effort that helps the Tukwila Pool be a sustainable and efficient aquatic center for the community. “I try to volunteer as much as possible, stay in touch with what’s happening in our neighborhoods, listen to people from all walks of life, and improve things in the community whenever I get the opportunity,” said Kruller.